The 2006 CLK-Class is a 2-door, 4-passenger luxury sports coupe, luxury convertible, or convertible sports… read more car, available in 5 trims, ranging from the CLK350 Coupe to the CLK55 AMG Cabriolet. 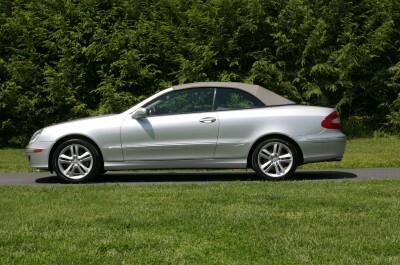 The 2006 CLK-Class’s closest competitors include the Audi S4, the BMW M3, and the Porsche 911 Carrera. Upon introduction, the CLK350 Coupe is equipped with a standard 3.5-liter, V6, 268-horsepower engine that achieves 19-mpg in the city and 28-mpg on the highway. A 7-speed automatic transmission with overdrive is standard. The CLK55 AMG Cabriolet is equipped with a standard 5.5-liter, V8, 362-horsepower engine that achieves 16-mpg in the city and 22-mpg on the highway. A 5-speed automatic transmission with overdrive is standard.